I think kids aged two and three years are my favourite to buy gifts for. It’s an age where they really appreciate a great present (as opposed to just the box it came in!) and we’ve picked out some super-fun pieces that are sure to delight on the big day. Kapow! 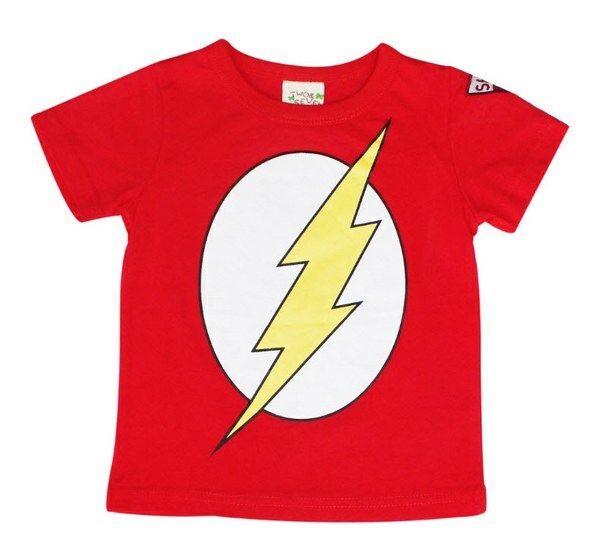 Greet Christmas Day in superhero style with this awesome Flash Tee from Hootkid. It promises to make your kid super fast and super cool – for little kids with big imaginations, it’s just the ticket. The Flash Tee is available in red or bright blue and is $24.95. After all that superhero action, your toddler will need somewhere stylish to sit. Pull up a Cocoon Couture Bean Bag. Cocoon Couture bean bags are available in huge range of colours and designs, featuring gorgeous appliqué creatures in vintage-inspired fabrics. Kids will like the comfort, parents will like the fact that the bean bags are fully machine washable and come with an internal safety liner to keep beans inside the bag! Bean bags are $99.95 each and are available directly from Cocoon Couture. Give a toddler a bucket and a spade, and you’ve made their day. Give them an entire sandpit and they’re sure to think all their Christmases have come at once. 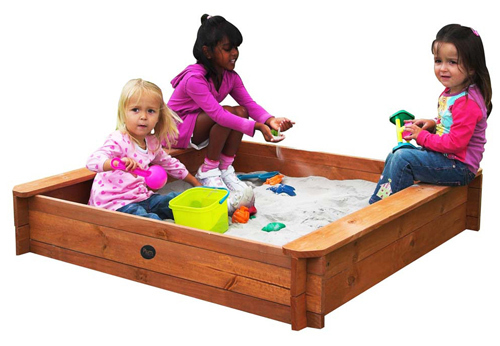 The Plum Square Wooden Sand Pit from Big W is just the thing to fuel hours and hours of creative outdoor play. At $118, the easy-to-build timber kit comes with a ground sheet to stop weeds growing from underneath and a cover to keep out roaming cats and other pesky critters when the kids are done for the day. Sandpit edges have rounded corners for safety and there’s a handy bench seat so adults can join the fun. Just add sand and they’ll be set. When you’re two years old, your future’s so bright, you definitely have to wear shades! Pick up some Babiators from Skip to my Lou. Priced at $29.95, Babiators are light, flexible and durable, so can withstand whatever their two-year-old wearer dishes out. They are available in a range of colours and styles and most importantly, Babiators’ lenses offer one hundred percent protection from UVA and UVB rays, making them the perfect year-round accessory. What’s the most important thing on Christmas Eve? An early and good night’s sleep, I say! Make sure your pre-schoolers sleep is a restful one with an Ollie Mini contoured memory foam pillow from Ollie Owl. Designed to maintain their shape and promote even distribution of body pressure during sleep, Ollie Owl pillows are dustmite resistant and are made from hypoallergenic foam with anti-bacterial properties – the perfect choice for little asthma or allergy sufferers. The Ollie Mini is $29.95. A toy that is also a decor and heirloom piece makes for a special gift and it’s hard to go past the design perfection that is Playsam. 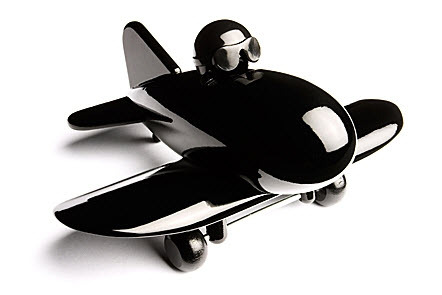 Playsam vehicles are sleek, minimalist and timeless. Choose from the classic Streamliner Green Line Cab or one of the fabulous jetliners. Playsam toys are priced between $74.80 and $99 and are available from Lilly & Lolly. Dance up a storm this festive season with the unique and very groovy Boogie Monster Dance Kit from Scallyoop. 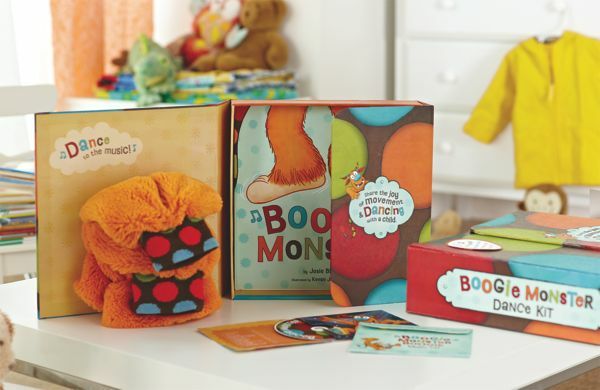 The kit includes a Boogie Monster book, a pair of funky Boogie Monster Leggings and a full length Boogie Monster Boogie Music CD by Babyology favourite, Recess Monkey, all beautifully packaged in a study gift box. So why put on dancing shoes when you can go the whole nine yards with Boogie Monster Leggings instead?! Each kit is $66. When one of my boys was two, we’d joke that he would grow up to be locksmith – he was obsessed with locks, latches and keys. The Melissa and Doug Latches Board from Classic Baby would have kept him entertained for hours. 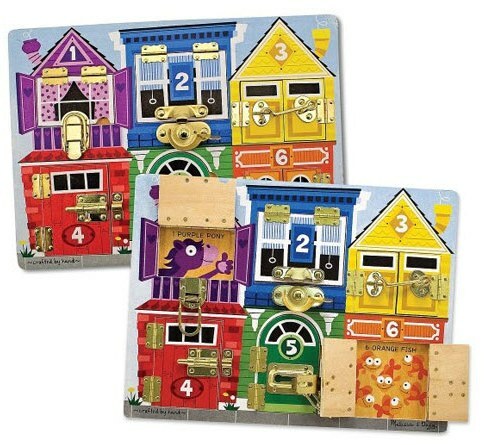 As well as exercising those fine motor skills, the Latches Board includes doors with different numbers, colours, shapes and animals creating multiple activities. It’s $47.85 from Classic Baby. Have you got kids with energy to burn? Let them loose in the backyard with Bop Along Buddies for some bouncing fun. It’s hard not to resist adopting Rufus the Reindeer for Christmas but there’s also Brutus the Bull, Darcy the Dragon and more. Bop Along Buddies are made from kid safe PVC and are $39.95 each (and I think the ideal thing to keep the kids busy while parents recover from Christmas lunch!). 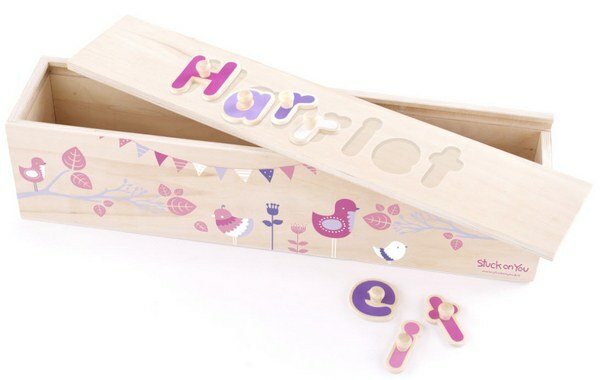 For the ultimate in personalised gifts (and just right for three-year-olds who are learning their alphabet) comes personalised wooden name puzzles from Stuck on You. So whether you have a Bartholomew or an Ed, they’ll soon be spelling their name with a beautifully crafted puzzle. Puzzles are $29.95 each or $49.95 with a wooden storage box. I thank balance bikes for making the task of teaching my kids to ride an absolute breeze. It’s so much easier to get the balance and co-ordination sorted before worrying about pedals. The Mocka Balance Bike will get your child off to an ideal (and flying) start. 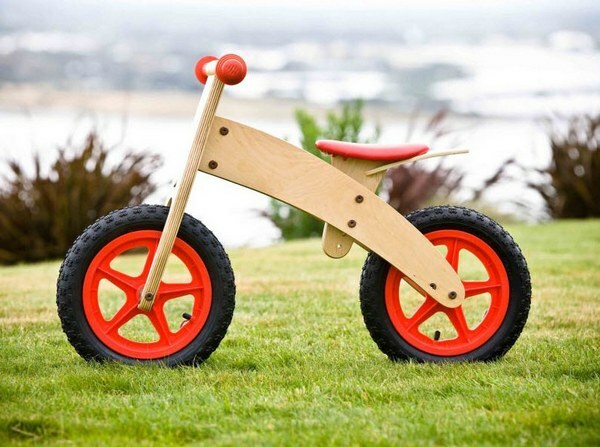 Mocka Balance Bikes are made from wood and offer an easy, safe and fun way for children to build their confidence. Available in a range of colours, the bikes are $79.95 each. After all that outdoor riding fun, take some down time playing or drawing at the beautifully designed Mocka table, complete with four stools. The contemporary table and stool set looks great in any home and the practical design allows the stools to be stacked away for easy storage. 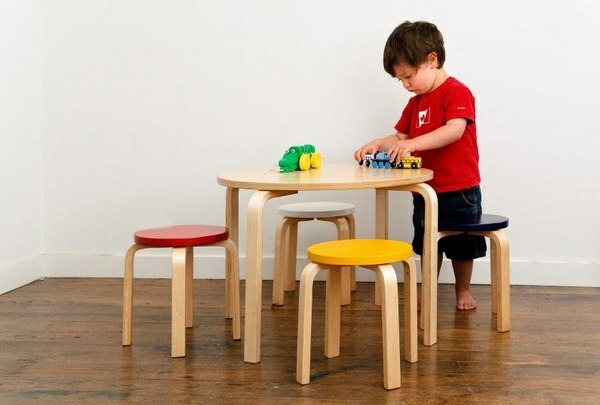 The table set is also great for mini-mealtimes. Available in natural timber or with coloured stools, each set is $89.95. Be sure to check out all of the Babyology Christmas gift guides for more ideas.